Is There a Limit on the Amount of Money That Can Be Deposited at Once? Federal Deposit Insurance Corporation-insured institutions held $11.8 trillion in deposits in 2017, up $600 billion from 2016. Banks offer various facilities for depositing money into your account. You can have money directly deposited into your account, or make deposits through a bank teller, an automated teller machine or various electronic devices. Although there is no fixed limit regarding the amount of money that can be deposited at any given time, your bank may be required to report your deposits to the government if they exceed a certain amount. You can open any number of checking and savings accounts, and there are no limitations on how much you can deposit in these accounts. Banks don’t limit the amount you deposit, but they often require a minimum deposit to open accounts. The FDIC insures deposits you make -- up to $250,000 per customer, per account category for each bank in which you hold accounts. This insurance assures you that if your bank fails or closes, you’ll get back the amounts you deposited. If you deposit $10,000 or more, the bank must report the transaction to the Internal Revenue Service, and you’ll need to explain where you got the money. Don’t even think about dividing the cash into smaller amounts to stay below this limit, because the IRS can investigate you for structuring, which is an attempt to prevent the bank from reporting your deposit. Structuring is illegal. Even if you earned the money through legal channels and paid the necessary taxes, the IRS can charge you with criminal activity and take your money. 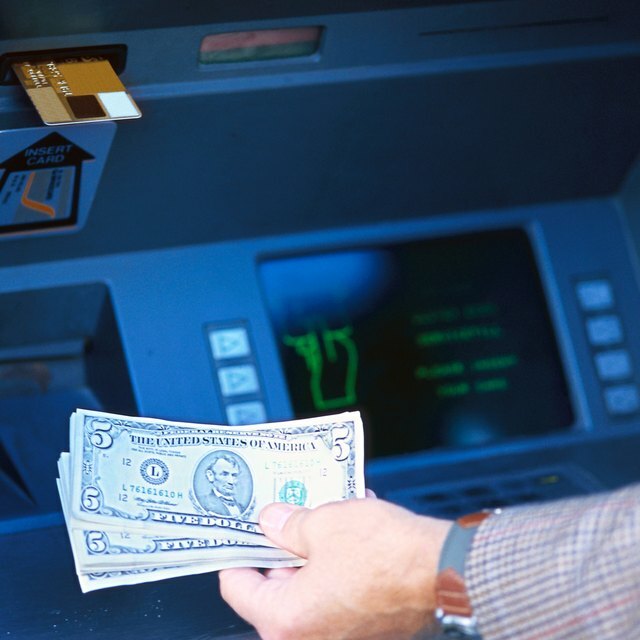 You can use an automated teller machine to deposit money, but some banks impose restrictions to ensure that the machines that are already carrying cash aren’t inundated with large deposits. Banks also might place your accounts on hold if you regularly deposit and withdraw large sums of cash at short intervals. Sometimes the amount you can deposit depends on your history with the bank, but some banks set a specific limit. For example, the Navy Federal Credit Union accepts up to $10,000 per card per day. Instead of limiting the dollar amount, some banks limit the number of bills you can deposit. For example, you can deposit up to 40 bills at Bank of America ATM machines, while Chase machines accept up to 50 bills or 30 checks. Make sure that the bills aren’t worn out, creased or have added marks on them, because they might be rejected. Consumers are becoming ever dependent on their mobile phone for services beyond keeping in touch with friends and family. They’re also using their phones to study, shop and manage financial accounts. Banks such as Fidelity and Chase also accept checks sent through mobile applications. Though, they limit daily deposits to $2,500 and $2,000, respectively, as of publication. At Chase, you're limited to $5,000 per 30-day period in mobile deposits. TheLawDictionary.org: Chase Bank: Is There a Limit to How Much You Can Deposit at an ATM? Chase: What is Chase QuickDeposit?